01.19, Inscription, 2001. 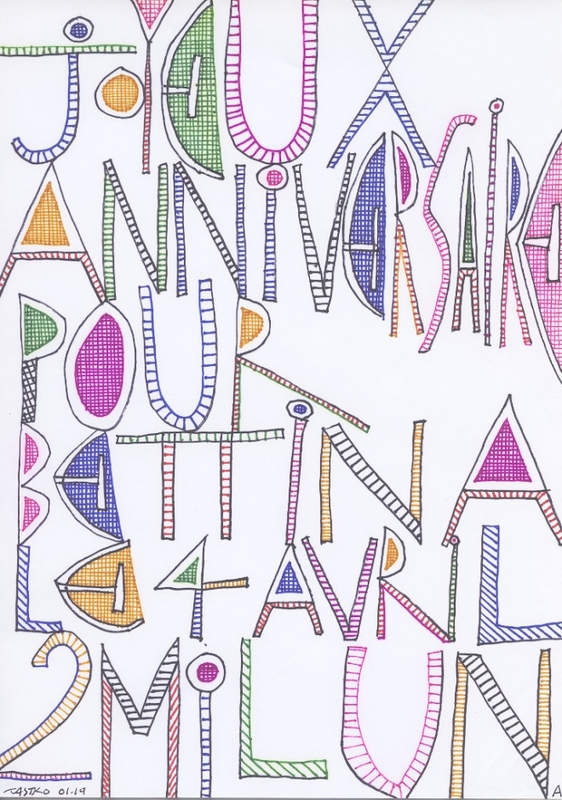 Two sketches for Bettina Szchimer’s birthday (4/4/2001). Ink on paper, 29,7 x 21 cm.